How To Find The Best Dog Food For Diabetic Dogs? What Are The Nutritional Needs Of A Diabetic Dog? Like people, dogs can also be affected by diabetes. This is a serious condition which occurs when a dog’s body is unable to produce or use insulin. A dog can develop diabetes for many reasons. Some breeds and age groups are more affected by this condition and in some cases diabetes hereditary. And in some dogs, obesity and a bad choice of food are the cause of diabetes. This is a serious health problem that if left untreated can greatly impact the quality of a dog’s life. But with the proper diet and regular exercises dogs who are suffering from this condition can have normal and happy lives. And in order to help you keep your dog’s diabetes under control, we will tell you how to find the best dog food for diabetic dogs. In order to keep your dog’s blood sugar levels normal he needs to eat appropriate diabetic dog food that has high levels of protein and plenty of healthy fibers. To prevent glucose spikes it is best to split your dog’s required amount of food into a few smaller meals. If your dog lost weight before he was diagnosed with diabetes, the best dog food for an underweight diabetic dog is the same as for other diabetic dogs. It is best to talk with your veterinarian about appropriate amounts of food that will help him gain weight, but also keep his glucose under control. We looked through many diabetic dog food reviews and made our diabetic dog food list of five best products to reflect the positive experiences of many dog owners. Continue reading to find out what food is best for a diabetic dog. This is a budget-friendly choice for a diabetic dog food that is high in meat-based protein. The first ingredient deboned chicken is followed by chicken and fish meal that reinforce the meaty flavor of this food. BLUE Wilderness created this grain-free formula to fulfill all dog’s natural needs with easily digestible grains. Sweet potatoes, peas, and potatoes are the ideal source of fiber, that will keep your dog’s glucose levels under control. Vitamins from blueberries, cranberries, and carrots will maintain a strong immune system and keep your dog healthy. This formula also contains Calcium and Phosphorus that will help to keep your dog’s bones and teeth healthy and strong. This formula contains glucosamine for joint health and mobility and the optimal amount of Omega 3 and 6 fatty acids for healthy skin and coat. This is a well-balanced formula, designed to contain all the necessary nutrients for daily feeding. With an amazing 34% of crude protein that is obtained only from fresh meat without any by-products, this is a high-quality food that will keep your dog’s muscles toned and strong. With 6% of crude fibers, you can be sure that your dog will have normal glucose levels and that he will maintain his ideal body weight. The first ingredient of this grain-free formula is white meat chicken. The chicken meal is second as a source of glucosamine and proteins. Purina Beyond made this formula with all natural ingredients and all the essential vitamins and minerals that are suitable for dogs who have diabetes. This is a grain-free formula, which means that there is no soy, corn or wheat that can affect glucose levels. Pea starch, cassava root flour, and beet pulp are the sources for 5% of crude fiber. This is a highly digestible food that will keep your dog’s stomach full but his glucose level normal. With 27% of crude protein, this formula is also a good choice for owners who just want to manage the weight of their dog and prevent obesity. This formula is reinforced with all the essential nutrients which makes it a perfect source of all necessary vitamins and minerals. The only flaw of this formula is that has 16% of crude fat, which doesn’t make it a low-fat food. But if you stick with recommended amounts appropriate for your dog’s size he should maintain his healthy weight. This is a high-quality holistic formula with a competitive price and fresh ingredients. Chicken meal is the first ingredient and with turkey meat creates 26% of crude protein. This is also a grain-free formula that is rich in fibers from peas, dried sweet potatoes, and potatoes. These carbohydrates make this food a good source of all the necessary easily digestible nutrients for dogs with diabetes. This brand is famous for using only U.S products in the making of their food. And with no grains, no poultry by-products, artificial flavors, and colors, this is a well-balanced formula for daily feeding. The main ingredient of this turkey and potato recipe is a real turkey raised on U.S farms. Turkey meal is the second ingredient which provides essential amino acids for lean and strong muscles and also glucosamine to maintain joints healthily and mobile. This zero grain formula has easily digestible potatoes, peas, and tapioca as alternative carbohydrates that are gluten-free and desired as a healthy source of fibers for dogs with diabetes. The additional fiber in the form of beet pulp contains prebiotics and is very good for digestion. This turkey flavored formula contains 26% crude proteins, 14% crude fats, and 4% crude fibers that are gluten-free and easy to digest. They are also healthy source of carbohydrates and make this formula suitable for dogs with diabetes. This brand comes n variety of different sizes and has all the vitamins and minerals that make a balanced everyday meal. Whole flaxseed and poultry fats are the sources of omega 3 and 6 fatty acids that make the skin and coat healthy and shiny. With a 32% of crude protein this formula is a protein bomb for owners with deeper pockets. This USA made food has a real chicken as its first ingredient, and another source of protein and nutrients is chicken meal. The flavor of this grain-free formula is accentuated with peas, chickpeas, real fruit and vegetables that are easy to digest and appropriate for diabetic dogs. Whit 7% crude fibers this is one of the most easily digested diabetic food formulas and it doesn’t contain potatoes, corn, wheat or soy. This is not a low-fat formula as it contains 18% of crude fats so it is important to know how much food your dog needs. Except that, this is a full balanced food that will keep your dog’s glucose levels under control and maintain his overall health. Before you start searching for the best diabetic dog food, you need to know what is diabetes, and what nutritional needs a diabetic dog has. Best food for a diabetic dog is specially designed to have higher levels of protein from real meat, has easily digestible carbohydrates, and contains healthy fats that will not provoke a weight gain.A diet that is rich in meat-based proteins will help with your dog’s development and muscle growth and fewer fats will maintain his ideal body weight. Also, you should look for diabetic dog food brands that make grain-free diabetic dog food. Diabetic dog food is full of healthy fibers that not only help with digestion, they also help to slow the glucose rush into the bloodstream. The type of food that doesn’t provoke a big spike in blood glucose levels is said to have a low glycemic index. How many times did you catch yourself reading the list of ingredients and wondering are they appropriate for your dog? We will tell you what best diabetic dog food brands have listed on their labels to help you pick the best food for your dog. Meat-based protein is the first ingredient. Foods that have carbohydrate listed as the main component can’t meet your dog’s daily requirements for protein. Make sure that the diabetes food label doesn’t contain any grains since they can elevate blood sugar levels. Check the percentage of fats and if they are made from natural oils. Make sure that diabetes food doesn’t contain any by-products and unidentifiable meat meals. See if the food contains minerals and vitamins, that are essential for the good working immune system. Stay away from foods that have additives, artificial colors, and flavors. Make sure that all the ingredients listed are made in developed countries with regulations and safety protocols. Dog’s digestive system breaks all the food that he ingests into various components, one of them is glucose. In order for glucose to travel to all cells, it needs insulin, and when a dog’s pancreas isn’t producing insulin, dog’s blood sugar levels get elevated. Dogs are born with Type I diabetes and this condition can’t be cured, it can only be managed with insulin therapy. Type II can be developed in different life stages, and it is usually the result of poor nutrition or obesity. In order to help your dog lose weight and prevent the development of obesity and diabetes, read our article about Best dog food for weight loss in order to help him lose or maintain his healthy weight. It is important to remember that diabetes is easily manageable with the right nutrition and that affected dogs can have normal and happy lives. Diabetes is a serious condition, but if you make the necessary dietary changes your dog will continue to have a normal and healthy life. Also, it is important to maintain your dog’s ideal weight and keep him active. We provided you with 5 high-quality choices for the best dog food for diabetic dogs. All these formulas are high in protein and have lower levels of fibers which makes them ideal for keeping the glucose levels under control. Remember that obesity can cause dog diabetes and place your dog on a diet if he has a few extra pounds. My 12 year old shiZhou miz is on 9.5 units of insulin 2 times a day. He is very over weight, I’d say 10 pounds over. Je is constantly hungry!! He is currently on Costco grain free but now that he’s diabetic I’m looking for a better diet and hopefully lose some weight. Thank you so much!!! As far as feeding the exact food at the exact time, If I alternate a little wet chicken into his dry food one day, then wet beef the next, does that mess it up? Should I just stick with one? And as i stated above, everything is Rachel Ray. Thank you again!!!! 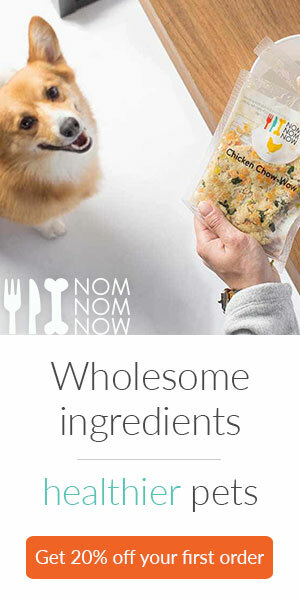 Any recommendations for homemade dog food? I have a dog that is 14, diabetic and I switched her over to Zignature, with lamb, as I heard that lamb is easy for older dogs to digest. is this one ok?